Dhiafatina For Hotels (also known as Dhiafatina) is a wholly-owned subsidiary of the Qatar Airways Group (QR Group). Dhiafatina, which is an Arabic word meaning Our Hospitality, represents the QR Group expansion into the hospitality business. This subsidiary of QR Group was established in 2010, and has a growing portfolio of hotel properties that have been hand-picked to complement Qatar Airways’ global strategy of growth for the future. In this role, you will have a broad remit undertaking supporting our hotel portfolio in Financial Accounting, Business Performance Management, Business Planning as well as Investment Analysis for new acquisitions. Additionally, the role provides financial support to the Chief Subsidiaries Officer and his team in broader commercial projects and acquisitions complementing the core airline business in the areas of real estate development and commercial management. Key projects typically include commercial and residential real estate developments or acquisitions to meet the needs of the growing business. The Role: Reporting to Finance Manager, the position will be responsible for the preparation of financial and strategic planning, monitor execution of financial plans by tracking risks, controls, opportunities, and driving corrective actions in cooperation with the management team. 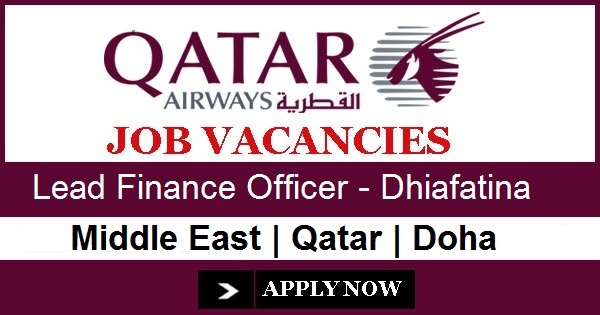 As a subject matter expert the role will provide value-added, meaningful, and insightful reporting and analysis for Qatar Airways Subsidiaries. Airline experience, ground handling or catering experience, banking institutions. Strong analytical skills with the ability to review variances, understand business cycles and their impact on the profit and loss account. Excellent communication and presentation skills are a must as is the ability to work effectively across the organization. Must have excellent organizational ability to be able to set priorities, handle multiple responsibilities, work interruptions and meet deadlines. User level experience in any ERP preferably in Oracle and computer literate with a thorough knowledge of Microsoft word, excel and power point. Excellent English language communication skills both written and oral and well developed interpersonal skills. Strong aviation specific profile in either expenditure or revenue accounting.